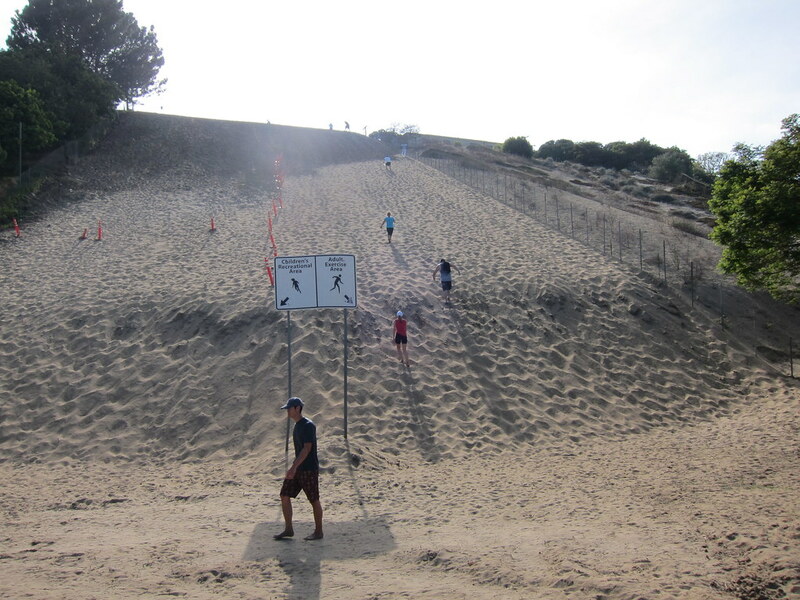 The CasITa-to-5k visited Sand Dune Park for their warm-up yesterday. 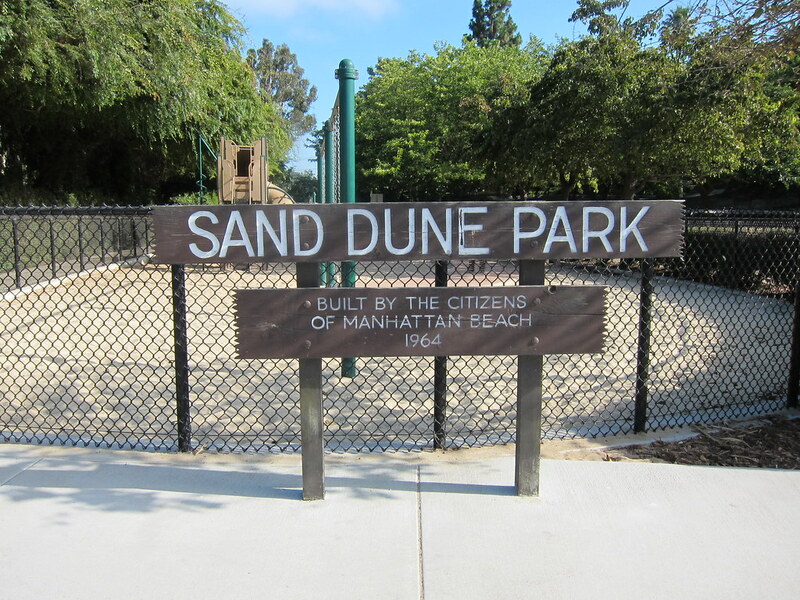 The three-acre Sand Dune Park consists of a children's playground and a giant sand dune. The sand dune is approximately 270 feet long and 115 feet wide at the top, with an average slope of 27.7 degrees. After being closed by the city earlier this year, the sand dune re-opened this week. It was estimated that about 9,000 people visited the sand dune on a monthly basis before its closure due to noise complaints from the neighbors and erosion from wear. Residents also complained about the amount of trash visitors were leaving behind in the sand. 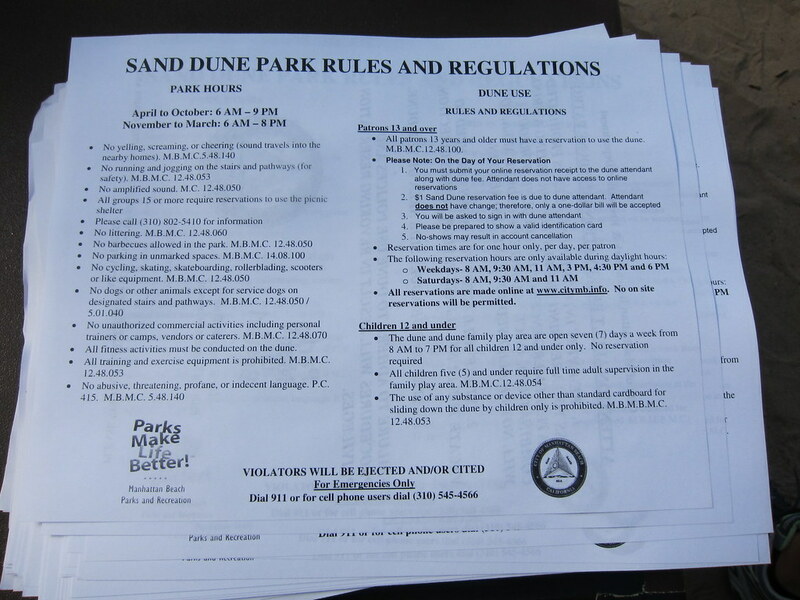 With the re-opening of the sand dune, reservations must now be made online ahead of time. There is a $1.00 fee for adults 13 and older per hour and there is a one hour limit per person. Annual passes may be purchased for $60. Children 12 and younger have free all-day access. A fence has been erected around the perimeter of the dune and reservations are enforced by a city attendant. Since the CasITa-to-5k didn't make reservations ahead of time, we climbed the flights of stairs to get a view from the top. As winded as I got going up the stairs, I couldn't begin to imagine what it's like to climb that sand dune. The climbers all went barefoot or wore only socks. One woman had on a pair of aqua socks. 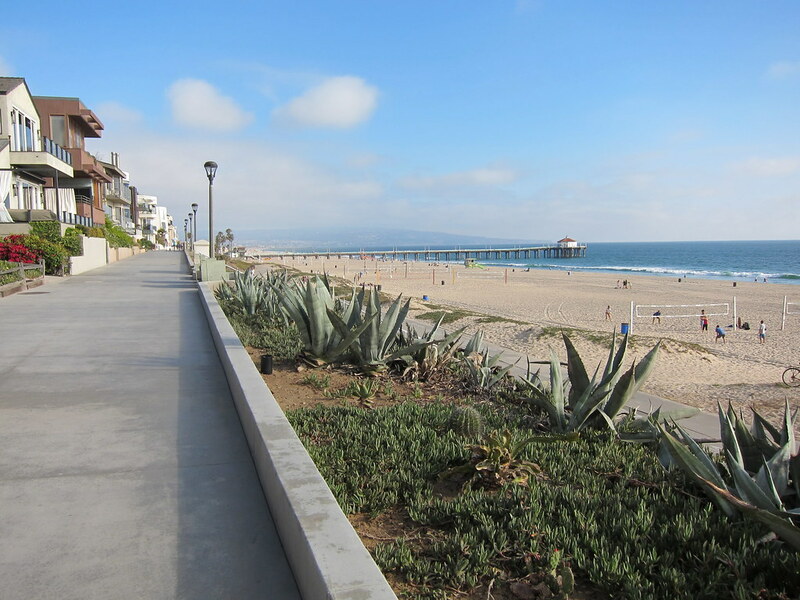 After our sand dune adventure, we headed out to the ocean to run on The Strand. We are still on Week 1 so we started off with a brisk five-minute walk and then alternated between 60 seconds of jogging and 90 seconds of walking for a total of about 40 minutes. It was a really relaxing run and I enjoyed myself immensely. What an EXCELLENT workout for the ole calves, glutes...and heart! Stairs work well also though. You're going to have 'Buns of Steel' :). Oh! I just heard about the new charges to the dune on the news this week! 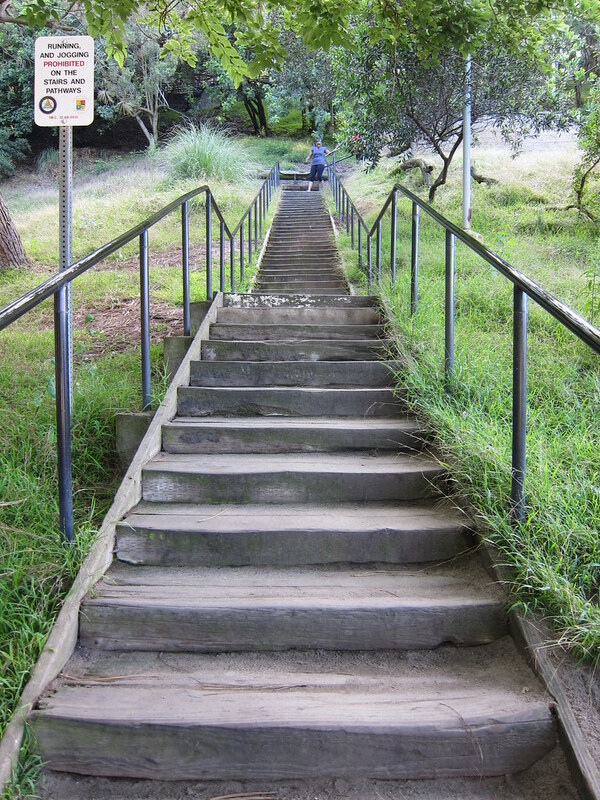 Im sure the stairs were safer for your feet anyways :) Glad you had a grat time! All while grabing some great pics! Sounds like the Couch to 5K is starting off with a bang... Way to go Running Green Girl!! !